What We’re About Young Americans leading the discussion on issues that affect our generation. The polarization and fracturing of our politics is dividing us along lines that leave millions of young Americans with nowhere to turn. 71 percent of millennials believe that neither party represents them. And for good reason. Both parties have placed our nation on an unsustainable fiscal course, and one generation of Americans is about to leave the next generations with an unbearable ﬁnancial burden. The national debt is more than $20 trillion, with unfunded liabilities exceeding $100 trillion. Report after report warns of wasteful spending and unsustainable deficits, yet year after year nothing is done to address them. If this continues, millennials and generation Z will spend their peak earnings years paying for the excesses and promises they had no knowledge of or say in. However, this is not an unsolvable problem. It’s a grand opportunity. Instead of throwing up our hands in disgust and accepting whatever future our current lawmakers have in store, we believe that it’s time for our generation to actively strive for a better future. Generational theft must be stopped: If left unaddressed, the national debt and unfunded liabilities will fundamentally reshape our futures. Regardless of whether you are a progressive, conservative, independent, or just don’t care, the economic impacts of our fiscal problems will be felt by the entire generation. We must speak up and tell our policymakers that we are not going to foot their bill. Our government must be held accountable: With more than $5 trillion worth of decisions being made in Washington DC every year, transparency and oversight is critical to making sure our resources are going towards projects that are in the national interest, rather than squandered on special interests. Many of us grew up with immediate answers to every question in the palm of our hand. The same should be true of our tax dollars. Our discourse must be objective and informed: America has neither an expiration date nor a guaranteed existence. We have rights as citizens – but we also have duties to secure this project by staying informed and engaged. That includes understanding our history, civics, and free enterprise system and making sure that a full understanding is passed onto the next generations. Millennials are the largest generation of Americans. Our interests are the least represented in Washington. We believe it’s time for that to change. Any budget that adds to our national debt will hurt millenials and future generations. Something needs to be done. 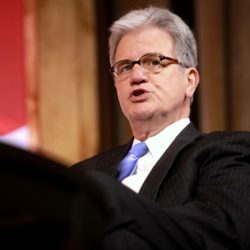 Dr. Coburn is honorary chairman of Open The Books, Senior Advisor to COSProject and the Nick Ohnell Fellow at the Manhattan Institute. Brian served as Chief of Staff to United States Senator Tom A. Coburn, managing a staff of approximately forty located in three offices in Oklahoma and Washington, DC and an annual budget of more than $3 million. Brian also served in several previous roles for Senator Coburn, including senior policy advisor and campaign manager. In the latter role, Brian managed all aspects of the statewide campaign, including recruitment of staff and volunteers, media development, fundraising, voter mobilization and federal election law compliance. Brian has also served as Director of Tulsa Operations and Health and Human Services Cabinet Liaison for Governor Frank Keating. 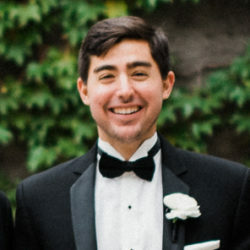 Brian is a graduate of the University of Oklahoma, where he earned an undergraduate degree in political science and a Master of Public Administration (MPA). 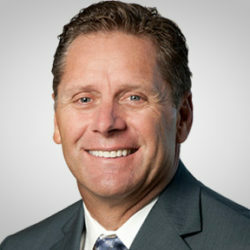 Mr. Largent is a former Congresssman, NFL Hall of Fame receiver and CEO of CTIA – the Wireless Association, Steve Largent has had a multi-faceted career path. Mr. Largent served four terms as a Member of the United States Congress, representing Oklahoma’s First Congressional District. He was Vice-Chairman of the Energy and Air Quality Subcommittee, the Oversight and Investigation Subcommittee and the Environment and Hazardous Material Subcommittee. A member of the National Football League Hall of Fame since 1995, Mr. Largent was a record setting wide receiver with the Seattle Seahawks for 14 years. He set 6 NFL career records and participated in 9 Pro Bowls. He was recognized as the NFL Man of the Year in 1988 for his commitment to community service. Athletes in Action also awarded Mr. Largent the first Bart Starr Award for serving as an exemplary role model both on and off the field. Mr. Largent received a bachelor’s degree in Biology from the University of Tulsa. Following his retirement from professional football, he managed his own advertising and marketing consulting firm, working for numerous Fortune 500 companies around the country. Bob is the Managing Director of Corporate Finance for Wells Nelson and Associates in Tulsa, OK. Before joining Wells Nelson he spent 20 years as the founder and president of Boston Street Advisors, Inc. He has more than 30 years’ experience in advising businesses on corporate finance issues with a focus on mergers and acquisitions, shareholder value enhancement, financial management and capital acquisition. He also advised private equity investment companies and hedge funds in transaction structuring and derivative trading strategies across five continents in industries such as the Internet, software development, oil and gas, financial services, manufacturing, telecommunications and health care. In addition, he is the founder of Boston Street Capital, LLC, of Tulsa, a private investment company. Bob has served and currently serves on several boards and commissions in the corporate and not for profit industries including The Asbury Communities where he serves as Vice Chairman of the Board of Directors and Chairman of the Finance Committee, The John Starks Foundation, Chairman of The Jimmie L Dean Scholarship Foundation, The Foundation to Restore Accountability and is a special advisor to the President of the Wharton Club of New York where he founded the Wharton Investor Resource Exchange. He has served on the National Advisory Council of the U. S. Small Business Administration (SBA), served as a Wharton Fellow, has mentored students attending the Wharton School’s MBA program and The University of Tulsa and as a judge for the Wharton Business Plan Competition. He graduated from Phillips University, where he played varsity baseball, with a BSBA in finance and accounting, holds an MBA from the University of Tulsa and graduated the Advanced Management Program of the Wharton School of the University of Pennsylvania. He is a Certified Public Accountant in the State of Oklahoma, a Certified Global Management Accountant and holds his series 7 and 65 securities license. Mary Jo is an internationally-recognized authority in reputation, brand and crisis management in the worlds of energy, finance and government and a trusted advisor on the complex dynamics of corporate, economic and political relationships. In a career spanning the White House and Westminster, Wall Street and the City of London she created two award-winning global brands and she is the only person ever to be appointed to office by two US Presidents, two prime ministers and a reigning monarch. Today she advises clients on safeguarding their reputations and building their brands and helps them conceive and apply a full spectrum of crisis-avoidance and management strategies. Mary Jo is in regular demand as a key-note speaker and as a studio expert for CNBC Europe, the BBC and LBC radio. Following her term as a Visiting Fellow at the University of Oxford (England) she now advises the Rothermere American Institute. She is a member of the Visiting Committee of Loyola New Orleans’ Business School and co-chairs the advisory board of George Washington University’s Institute of Corporate Responsibility. Bryan spent seven years on Capitol Hill working as a policy advisor for Senator Tom Coburn and Senator James Lankford. During this time, he advised the senators on budget, tax, banking and government oversight issues and served as the senators’ lead staffer on the Banking Committee, the Homeland Security and Government Affairs Committee, and the Financial Services and General Government Appropriations Subcommittee. 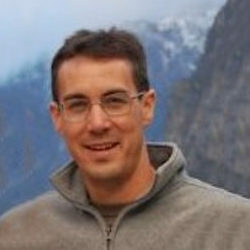 Bryan has assisted in the research and drafting of numerous government oversight reports, including authoring an extensive examination of Congressional mismanagement of the National Park System. Bryan graduated from Oklahoma State University with a degree in secondary education and minors in history and geography. As a student, he spent four years on the OSU football team’s video crew filming practices and game tape for the coaches and players. Bryan remains an avid supporter of the Oklahoma State Cowboys. Adam was born and raised in the Midwest and calls St. Louis, Missouri home. He is a St. Louis Cardinals baseball and Blues hockey fan. 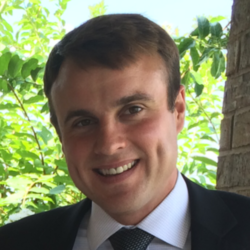 After graduating from Southeast Missouri State University in Cape Girardeau, MO, Adam started his career in Washington, D.C. He spent two years on Capitol Hill working for Senator Tom Coburn and Senator Jeff Flake. Adam focused on government oversight, and contributed to the Wastebook, Tax Decoder, and Jurassic Pork. His work has been featured in the Daily Caller, The Washington Examiner, National Review, The Hill, and The Missouri Times. 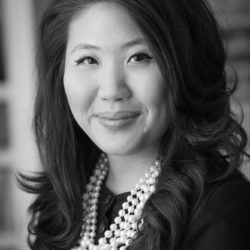 Janie Kim has spent over ten years in political and philanthropic fundraising. She has provided strategic consultation for an array of clients, including U.S. Senators and Congressmen, national party committees, political action committees, and non-profit organizations. Ms. Kim spends her free time serving her church community through various activities. Ms. Kim grew up in Bethesda, MD, Seoul, South Korea, New York City, and Los Angeles. She earned her B.A. from the University of Massachusetts Amherst.